Deputies from the Washington County Sheriff's Offices took one of the men suspected in a North Plains homicide case into custody Thursday, the office announced just before midnight. 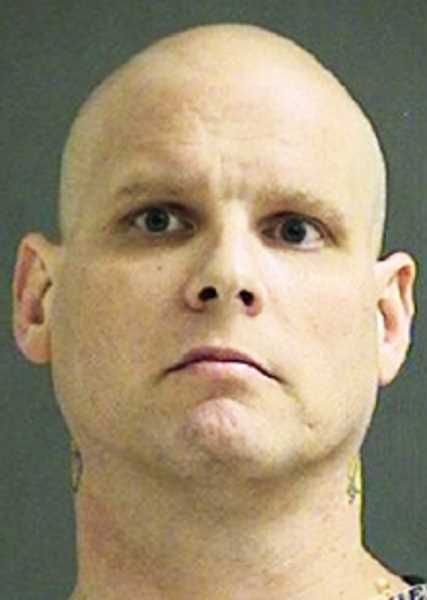 Christopher Jay Stephens, 40, of Newberg, was reportedly arrested during a traffic stop at the intersection of Southwest Boones Ferry Road and Avery Street in Tualatin by Washington County SWAT officers, with assistance from the U.S. Marshals Service. He faces a murder charge in the slaying of Michael Zven Arch, whom investigators say was shot dead Sept. 19 outside North Plains. Stephens was arrested at 2:45 p.m. Thursday after detectives received information that he may be in the Tualatin area, the Sheriff's Office said. On Sept. 19, responding to reports of a shooting, deputies found Arch fatally wounded in the 16000 block of Northwest Dairy Creek Road near North Plains just before 5 p.m. While initial news releases indicated detectives were searching for a single suspect, Chad Brandon Pitcher, the sheriff's office said Thursday that Stephens is also a suspect in the case. Pitcher remains at large. The sheriff's office said he is also wanted for murder and detectives are asking anyone with information on his whereabouts to call 503-629-0111, the non-emergency dispatch line. Pitcher is considered to be "armed and dangerous," officers HYPERLINK "http://pamplinmedia.com/ht/117-hillsboro-tribune-news/373505-258256-sheriff-names-suspect-in-north-plains-murder"warned earlier this week. Stephens is being held at Washington County jail in Hillsboro without bail. Unlike Pitcher, Stephens does not appear to have a criminal history in Oregon other than minor infractions. Arch, the victim of the shooting, had HYPERLINK "http://portlandtribune.com/ht/117-hillsboro-tribune-news/372931-257363-victim-in-north-plains-homicide-had-long-history-with-police"a long and colorful criminal record. Formerly known as Reiner Schmolling, he had been convicted of attempted murder after a 1997 shootout with sheriff's deputies in which a police dog was killed. In September 2016 he pleaded guilty to aggravated first-degree theft and criminal mischief, unauthorized use of a motor vehicle, and attempting to elude a police officer, among other charges, after being arrested for allegedly stealing a vehicle and attacking a gas station attendant. He was sentenced to 10 months in prison, court records show. Arch's brother told the Hillsboro Tribune that the deceased man had battled drug addiction and become estranged from his family in recent years.